Simple to use, media passes through the dispenser, label is peeled away from the backing paper and presented to be picked up. Operator can adjust the length of label to be dispensed through a control panel as well as set the number of labels to be dispensed, types of advancing and much more. Several different models available that can handle any job you may have. 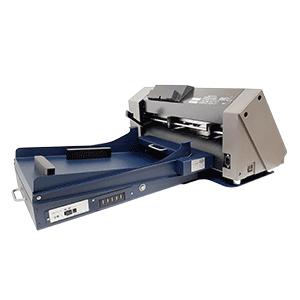 Versatile, simple to use, reliable and tough, our small electronic label dispensers are available in two different models and will make it easy for you to apply labels in your manufacturing process. 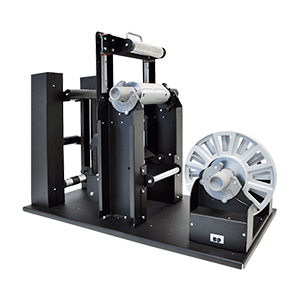 The easy label dispenser will assure you the maximum flexibility and the best efficiency/price ratio making it easy for you to apply labels in your semi-automatic manual labeling operations. As one of the leaders in the label industry, D.P.R. 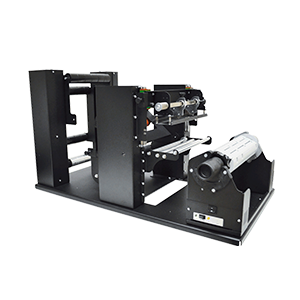 is committed to producing quality labeling equipment such as label rewinders and unwinders, label dispensers, automatic label counters as well as finishing equipment like label slitters, matrix remover & slitting systems, and digital label finishing using cutting plotter and laser technologies.